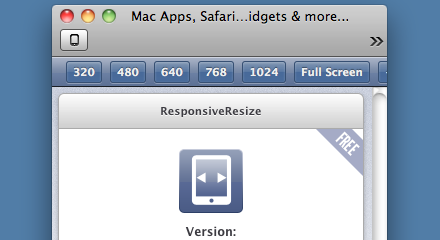 The ResponsiveResize Safari Extension lets you resize the browser window with pixel precision as an aid to building responsive websites. There are several preset viewports and you can also use the custom input field to resize to your own requirements. v1.1 — added the ability to increase or decrease the browser width in 1px increments.